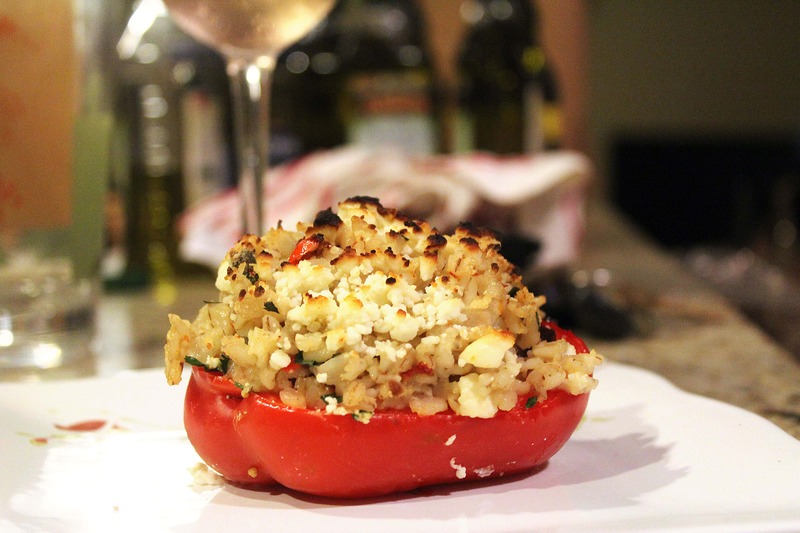 It’s another dang stuffed pepper. Peppers are like….bread. You can fill them with anything and make them delicious! So, I stuff them a lot. With a lot of stuff. This variation is a light, fresh, summery version with veggies and cheese – you could trade out any of the ingredients based on your preferences and what you have on hand. I love the chewy texture of the barley in these, too. 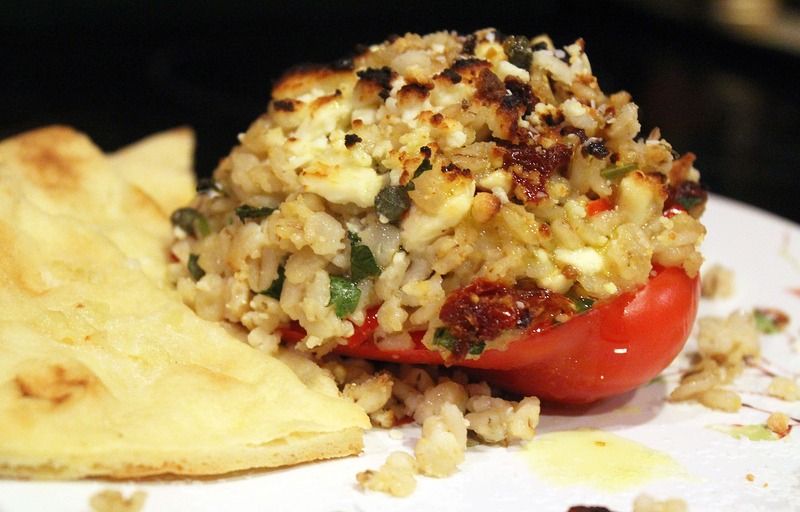 It’s wonderful in vegetarian dishes because you don’t miss any ground meat that might generally be found in a stuffed pepper! Ok, let’s get the barley and peppers started. 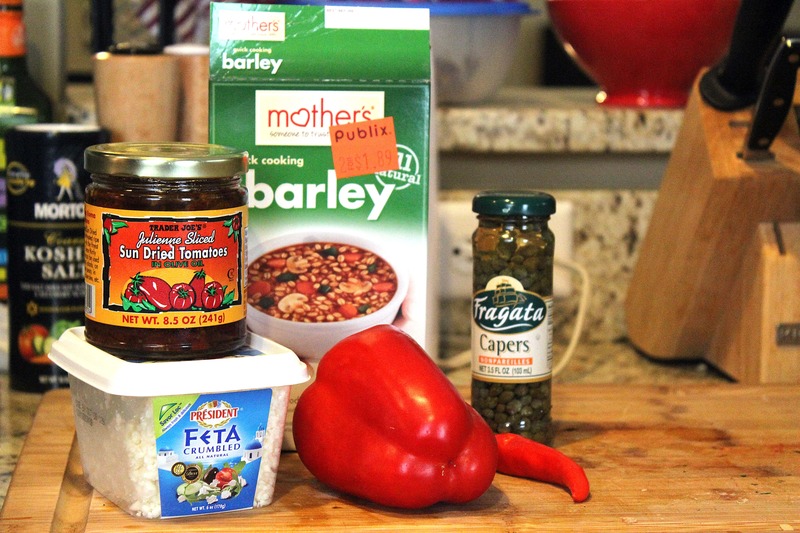 Cook the barley according to package directions while you get the rest of the ingredients ready. Preheat your oven to 375F. 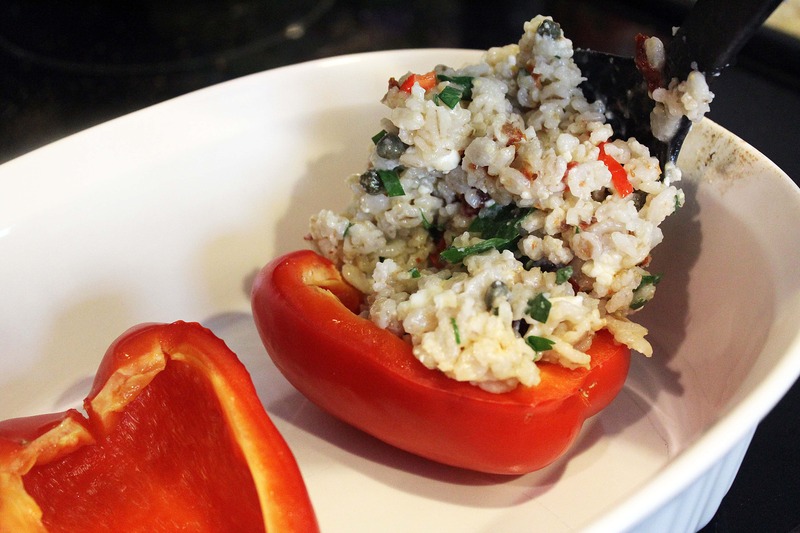 Then, cut the bell pepper in half and scoop out the seeds. 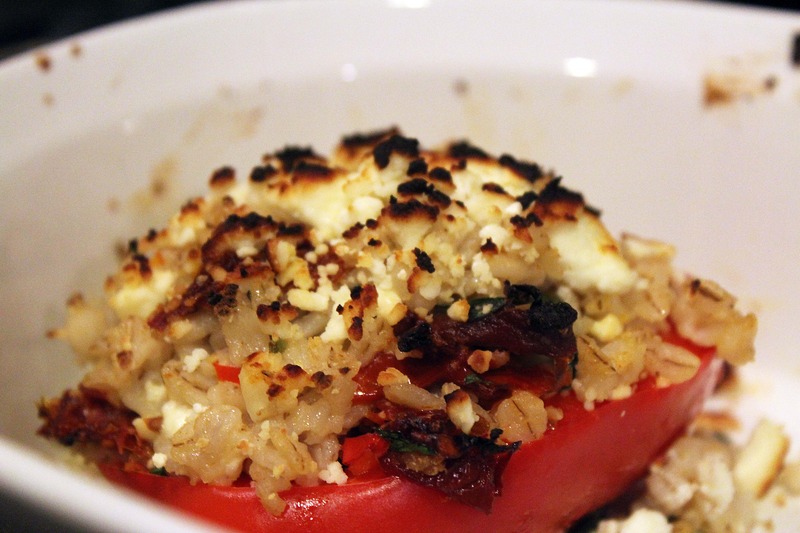 Place the pepper halves face down in a pan and roast the peppers for 10 minutes – they’ll just be starting to get soft. 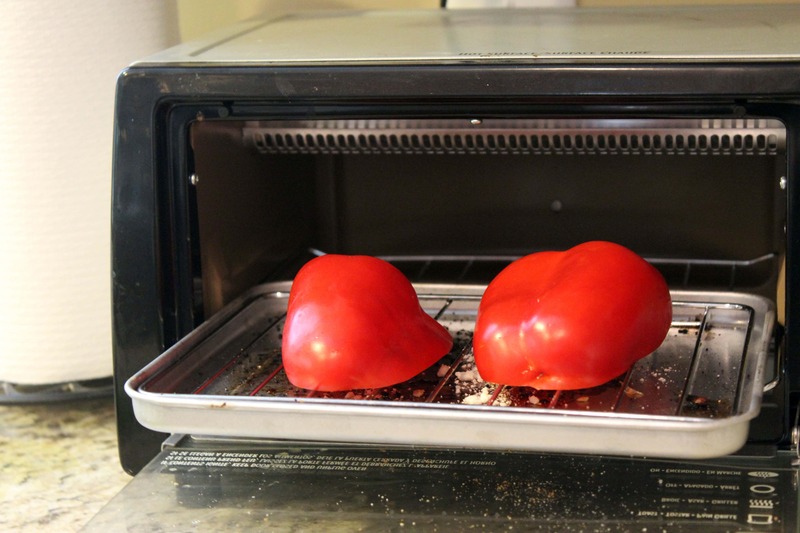 I used my toaster oven because I’m lazy – why the heck not? 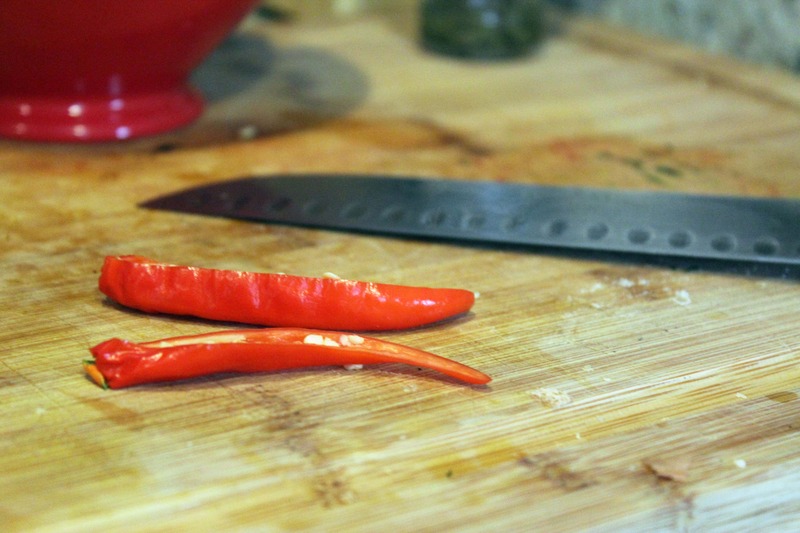 While the barley and pepper halves are working, slice the chili pepper in half and take of the stem. Remove the seeds and ribs of the pepper if you don’t like things too spicy! 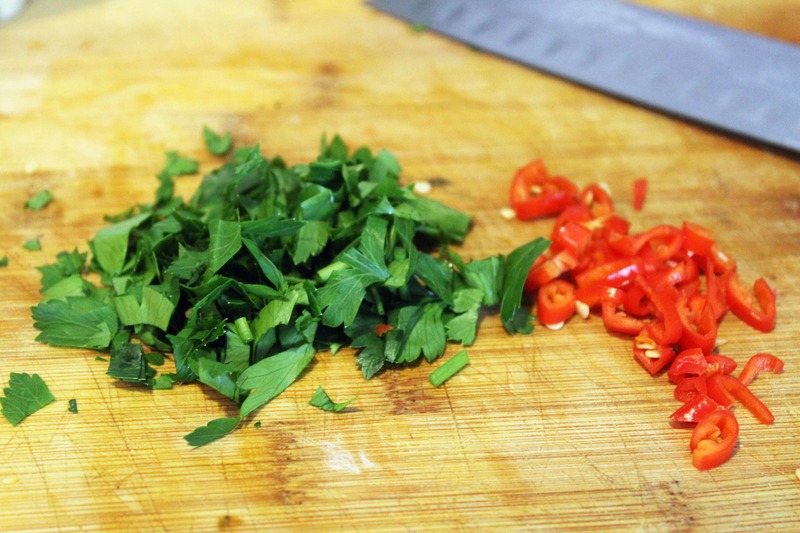 Then, slice the pepper into little half moons and chop the parsley. 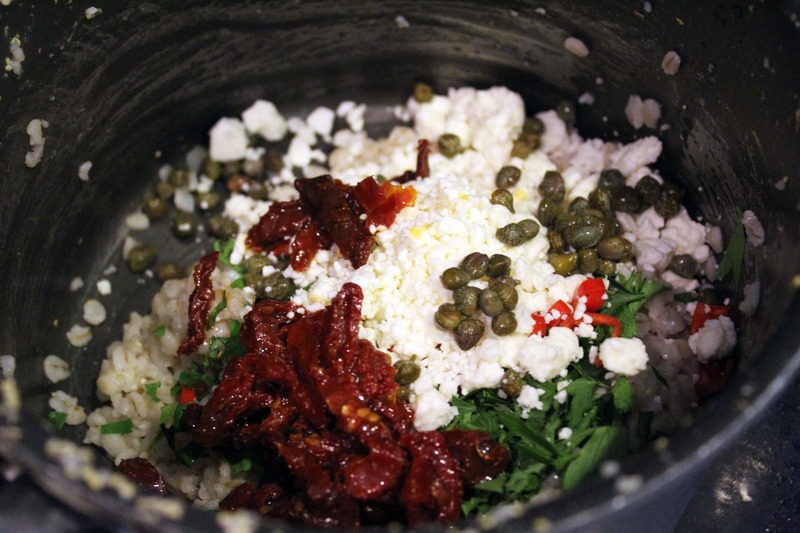 When the barley is cooked, add the chili pepper, parsley, capers (without juice), sundried tomatoes, and half the feta to the pot with some salt and pepper. 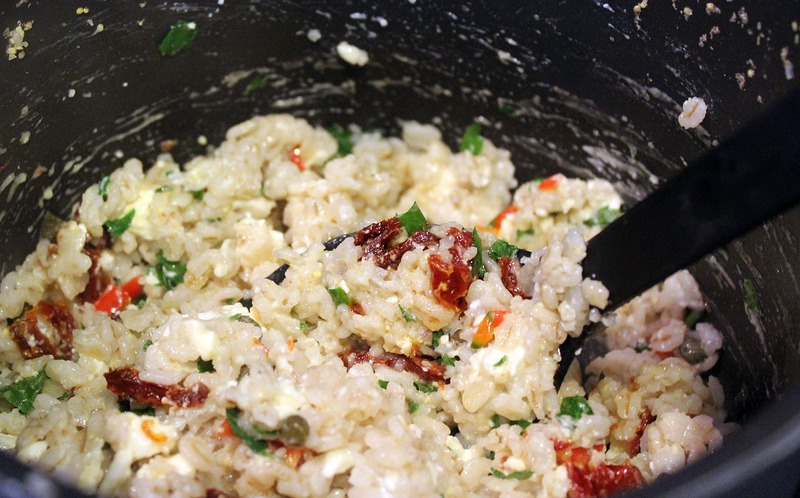 Stir it all together and taste: How yummy is this? Now, grab the pepper halves from the oven and flip them over so they’re face up. 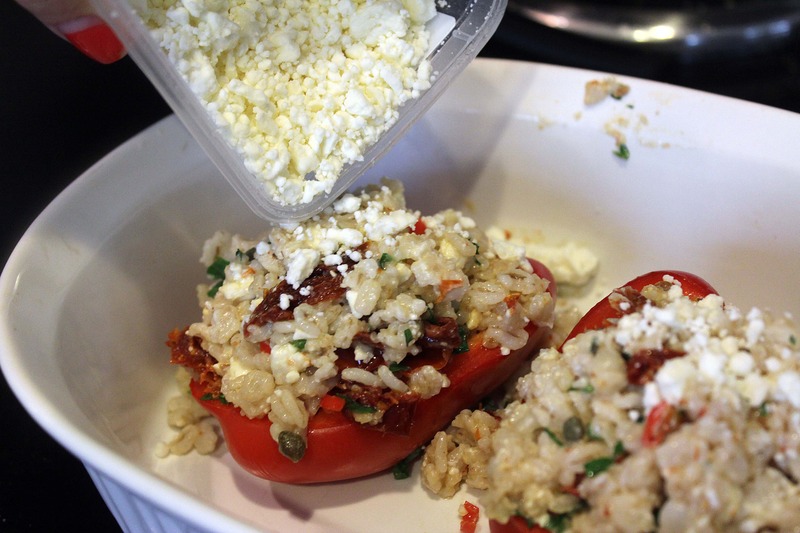 Turn the broiler on high, and fill the peppers with heaping spoonfuls of the filling. Top that with the rest of the cheese…. …and broil on high for 3 – 5 minutes until the cheese is nice and toasty. …and some naan is delicious on the side too! However you work this one, you’ll love it. Mix and match cheese, herbs, veggies…whatever!